We recently sent out our Event Toilet units to Weston Super Mare Pride 2017, this is our second year in a row of supplying for this amazing event. This is a firm favourite in our diary now, we love how colourful Weston becomes. 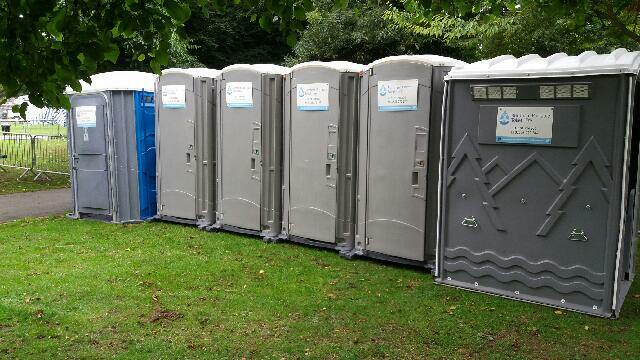 Members of the team here at Burnham Portable Toilet Hire have attended this event and can confirm it’s amazing!!! 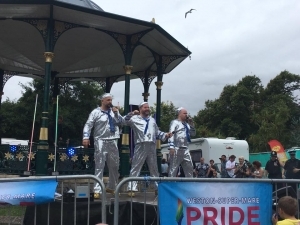 The fourth annual celebration of equality and diversity returned to Weston on July 29th 2017 , it promised to be bigger and better than ever, and it was. 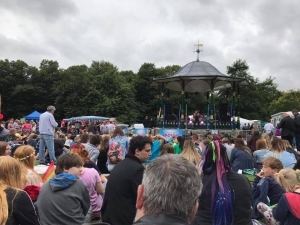 Headlining was 1980s singer Hazell Dean, while Jordan Gray from last year’s The Voice joined the line-up which boasted an eclectic mixture of local talent and international singing stars. 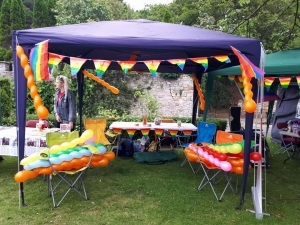 The event began with a colourful parade starting at Knightstone Island and into the town centre, ahead an afternoon of family-friendly entertainment in Grove Park. 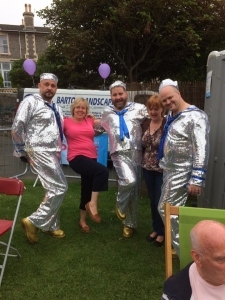 Award-winning drag queen Fanny Burns hosted the day, which also included disco legend Angie Brown and The Showbears from Britain’s Got Talent, ( we got a picture of them near our toilets) local alternative covers band Rude Awakening. Community stalls, food outlets and a bar was on offer, as well as a family area with a bouncy castle, face-painting, displays and information. This event is so well organised and truly is a wonderful day/evening out for all the family. The planning and effort put into this event is superb, catering for everyone. We are very proud to support such an amazing event, see you next year! If you have a party, event or festival and would like to hire our portable toilets and/or hot showers call us today on 01278 794800 or send a message via the Contact Form.